If you are interested in a consulting opportunity with BP&M, please send your resume, providing the opportunity reference number, to recruiting@bpmconsulting.ca. If your skills and expertise match our requirements, we will contact you to schedule a meeting. There are currently no consulting opportunities to display. Please check back soon. Established in 1999, our growing firm has built an extensive client portfolio across the public sector and Crown corporations, including Shared Services Canada, Library of Parliament, Canada School of Public Service, Canada Post Corporation, Public Works and Government Services Canada, Department of Justice Canada, Export Development Corporation, Department of National Defence, Environment Canada, Elections Canada, Passport Canada, Citizenship and Immigration Canada, and many others. Interesting Contracting Opportunities – Using the numerous contacts of our existing employees, consultants, and associates, our business development team aggressively pursues new contracts for key consultants committed to working with BP&M. Delivery Oversight and Mentoring – All consultants have access to the BP&M Managing Partners or other senior consultants in the company. You are able to solicit guidance or advice, and draw upon best practice expertise to assist with your client engagement. 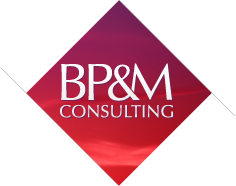 Consultant Collaboration – BP&M has embraced the concepts of Collaboration and Content Management. We encourage on-line discussions and the sharing of best practices among our consultants. We have also developed a number of tools, templates and engagement methods which are available to consultants. Liability Insurance Coverage – Many contracts with the Federal Government require Liability Insurance. BP&M extends coverage to all of our consultants. Networking Events – BP&M hosts several company events throughout the year to promote collaboration and networking. Security Clearance Processing – BP&M can assist you with your Security Clearance processing requirements.